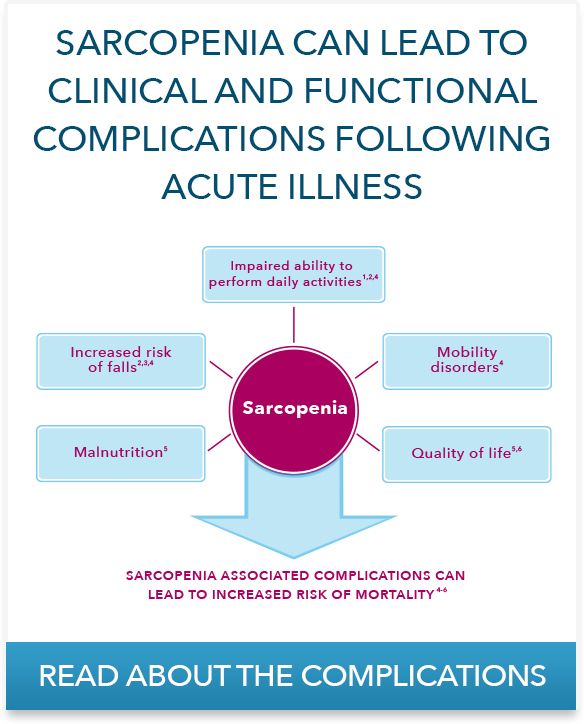 Identifying the signs of malnutrition and sarcopenia among older adults is critical. Exercise, proper nutrition and other lifestyle changes can make a difference in patients. 1Pichard C, Kyle UG, Morabia A, Perrier A, Vermeulen B, Unger P. Nutritional assessment: lean body mass depletion at hospital admission is associated with an increased length of stay. Am J Clin Nutr. 2004;79:613-618. 2Wolfe RR. The underappreciated role of muscle in health and disease. Am J Clin Nutr. 2006;84(3):475-482. 3von Haehling S et al. 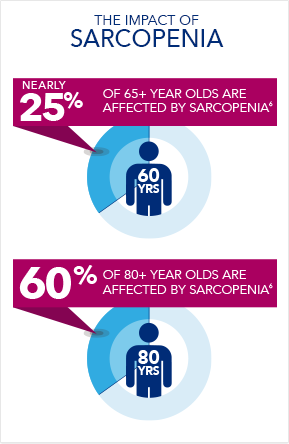 An overview of sarcopenia: facts and numbers on prevalence and clinical impact. J Cachexia Sarcopenia Muscle. 2010;1:129-33. 4Cruz-Jentoft AJ et al. 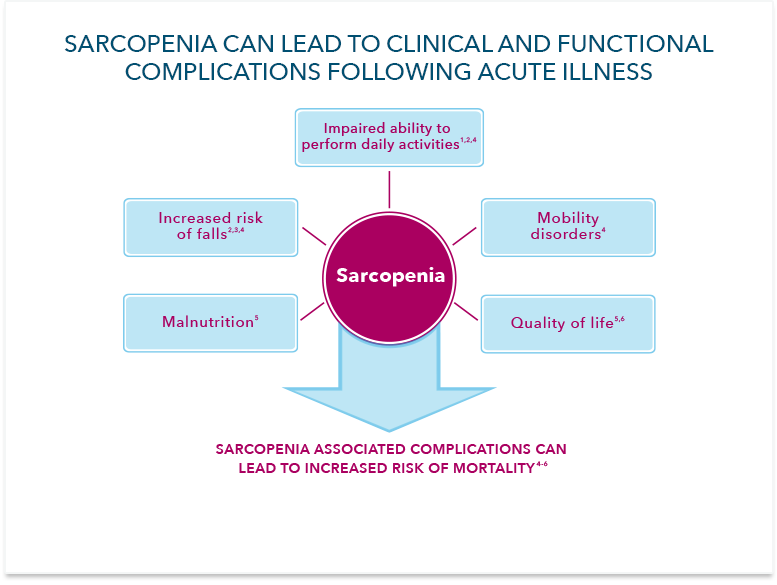 Sarcopenia: European consensus on definition and diagnosis. Age Ageing. 2010;39:412-23. 6Janssen I, Heymsfield SB, Ross R. Low relative skeletal muscle mass (sarcopenia) in older persons is associated with functional impairment and physical disability. J Am Geriatr Soc. 2002;50:889–96. 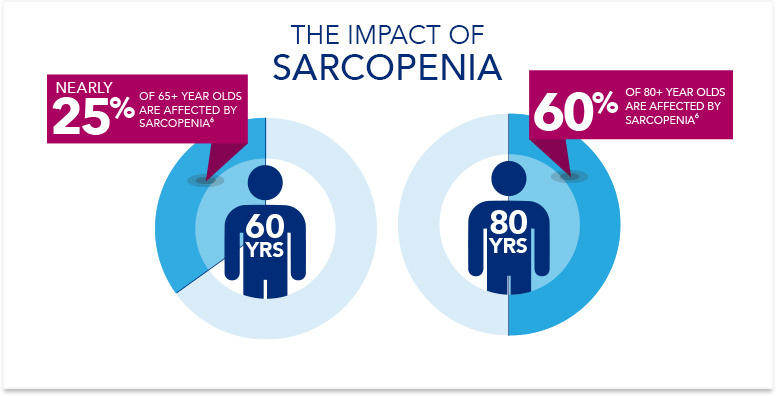 7Janssen I, Shepard DS, Katzmarzyk PT, Roubenoff R. The Healthcare Costs of Sarcopenia in the United States. Journal of the American Geriatric Society. 2004;52:80-85.